This is a very stressful, yet hopeful, time in our lives. Due to the economy, we are forced to make changes in what we buy for our family, but can we also choose what’s best for the planet? “Green” seems to cost more, it takes time to learn and implement, it requires that we focus and prioritize. It may not seem like the best time to go green and eat healthier, but this is actually the perfect time to get healthy, heal our environment, and save money! Especially under times of stress, we need to keep our immune system strong to ward off disease. Disease costs money, so there is a real savings there (avoiding doctor bills, medicines, days off) but it’s deeper than that because without our health, we have nothing. Being healthier keeps us within our budget. Making changes that impact our health, in turn, helps heal our environment. And the truth is, choosing healthier options for our body and planet does NOT have to cost more; there are ways to save money while making good choices. We can tighten our belts and still eat delicious nutritious food that allow us to tighten our belts a notch as we get healthy and lose weight. Eating well is the cornerstone of good health. We get more bang for our buck (more nutrition, less toxins) by choosing organic food, but many times they are more expensive than conventional (that was the point of the industrialization of food, to make it cheap, and they succeeded: cheap to make, cheap to buy, empty calories, not as nutritious, and really not even that delicious when you take the time to taste it) so it’s important to remember why we buy food, not just to quell the pangs of hunger, but to nourish our body and family, to keep us healthy, as a delicious pleasurable experience. In the U.S. we seem to think of food as an afterthought. We rush to a fast food place when we are starving or munch on things out of a bag. Sadly, we have the highest incidence of obesity, diabetes, and serious illness in America. We just don’t care about what we eat. We care what we look like so we spend money on cars, and clothes; but food impacts how we look even more, yet oddly we don’t give that the same attention. As Americans, we spend just over five (5%) percent of our income on food we make at home, that’s lower than ever before and less than any other country. We need to put our home-cooked meals back on the front burner. 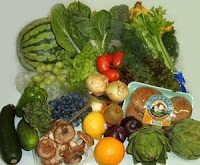 Find and frequent a real local farmer’s market or join a CSA. I say real because a real farmer’s market is where real farmer’s set up tables to sell what they harvest. Throughout the country, there are many now that are setting up tents of things they buy from distributors. Those are NOT farmer’s markets. You may still be able to get a good deal there if you are prepared and have comparison shopped; and you have to trust the person selling it. Better to support your local hardworking farmers. Meet the farmer’s in your area, talk to them to find out if they are certified organic or not and if not, why not. Find out how they manage their farm. Some farmers might use organic practices but are not certified while others, even though small, may be using heaps of chemicals and pesticides so take the time to chat. Find out about season and harvest times and what they grow. Visit the farms if you can.Once you find a farmer’s market with local organic (even if not certified) options, make this a weekly tradition with your family for eating healthy and meeting others in your neighborhood who share your values.A CSA is Community Sponsored Agriculture. That’s where you will buy a share of local seasonal produce for your area and support the local farmers in your area. Plan your Menu & Cook at Home. Nothing will help you save money more than cooking at home. There are so many sources for recipes, easy and fast, or slow and elegant. The way to learn and get better is to practice and plan. Plan what you’ll make for each meal during the week. Plan your meals around what is in season, on sale, and less expensive. Knowing what you need each week, based upon season and availability, allows you to stick to your budget and save money.Instead of planning a meal around the meat, try planning it around a veggie, beans, or whole grains since those are less expensive. Use meat as the “side dish” or use it to enhance the meal rather than as the main staple. There are other benefits to eating at home as a family including better communication, bonding, good self-esteem, good behavior, better grades, getting to know one another more, trying new foods or taking adventures together to other countries through food.Enjoy eating with friends or cooking for friends. Have friends over for a potluck dinner. Plan a meal swap group. This way each person gets to make their specialty and you get other home-cooked meals ready for you to heat and serve on nights you are too busy to cook yourself. Join a buying club or food co-op. That’s where the buying power of many is pooled together to buy in bulk at drastically discounted prices. You can share a 25lb bag of rice amongst your group or boxes of fresh produce. If one doesn’t exist around in your area, start one. If you need help on how, let me know. If you don’t have time but still want to join, I can help you coordinate it. If you are in Florida, join us in Annie’s Organic Buying Club. Shop Sales, buy by the case, comparison shop, buy in bulk, Choose store brands, & shop discount stores. Comparison shop for the things you need most. Organics go on sale. They even move to discount stores like Big Lots. Stock up when you find a great bargain but check dates; organic and natural products tend to have shorter expiration dates so buy only what you’ll use in time. Look for store brands that are usually less expensive but just as good a quality. Shop for items in bulk. I’m not a big fan of those bulk bins (with people stick their hands in and you never know how long it has been sitting there) but if they offer a bulk bag that you can purchase, do it! Many times local grocery stores will take pre-orders for certain items and only charge a marginal increase over wholesaleâ€”ask about that possibility. Grow it yourself. No matter where you live, you can grow something. Grow herbs, grow vegetables, grow something that you will enjoy to enhance your cooking. You’ll also be teaching your children a valuable lesson in working the earth, even if it’s just in a window box. Instead of putting on “recession pounds” by eating cheap food, now is the time to eat less, lose weight (for those of us that need to do that), enjoy time with our families, learn about food, and eat well. It’s time to get back to the basics of enjoying life. Eating well involves: Sitting with your family for meals. Learning new recipes. Cooking meals at home. Cooking more from scratch with whole real foods. Limiting pre-packaged and processed foods. Limiting restaurant food and take-out. 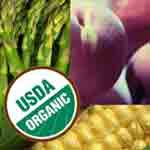 Choosing natural, grass-fed, and organic foods, especially for those things your family eats most. Enjoying really delicious food prepared with love and care. Taking pleasure in nourishing your family and seeing them enjoy the real food you have prepared together. Please share your ideas on living sustainably on a budget!